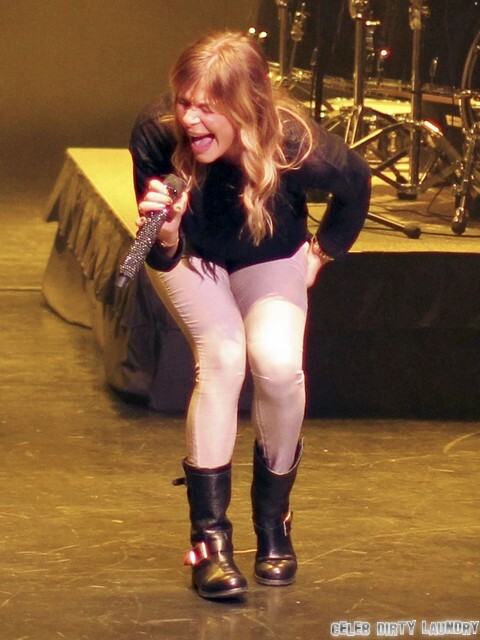 2013 has not been good for declining singer LeAnn Rimes. She spent most of last year doing damage control after a brief stint in rehab, during which she tried to learn “ways of coping with the rampant criticism of her and her relationship with husband Eddie Cibrian.” You know him as the C-list actor who has slept with half of Hollywood! Now, she might be knocked up by said scoundrel! You’ll remember LeAnn’s one-woman Twitter rampage, and her ongoing war with Brandi Glanville, Eddie’s ex, mother of his sons, and successful social climber. It hasn’t gone unnoticed that LeAnn copies Brandi obsessively, and is terrified her husband will ditch her for a younger model. LeAnn went so far as to buy him a mega mansion, and seemed to be focusing more on family, but has started sending out obsessive, negative tweets! When a fan asked if she started pole dancing because of Brandi, LeAnn snapped, even though she “was supposed to not tweet any negative stuff or engage with people who don’t like her,” a source told Star Magazine, print edition March 18, 2013. “She is tweeting at people who aren’t fans and saying a lot of angry stuff about Brandi again. She can’t help herself!” LeAnn almost admitted having a social media addiction, explaining that “it’s hard to take day after day of reading and seeing things that someone you don’t even know says about you. As much as you don’t want it to penetrate, it does.” Then perhaps she should wise up and stop fueling the fire! She can’t control other people—just herself! LeAnn’s behavior took a turn for the worse when she got an advance copy of Brandi’s tell all Drinking & Tweeting and Other Brandi Blunders. Now, she’s “absolutely livid at what Brandi says about her. Brandi paints LeAnn as a lunatic who stalked Eddie until she got him. There’s nothing she can do to stop Brandi, so she’s venting on Twitter.” The book has set her completely over the edge, and has got her “acting more and more unstable. Her people are trying to rein her in again, but this is only going to get worse when people start reading the book. LeAnn might end up in rehab again!” I think LeAnn is crazy and probably deeply unhappy, and sincerely hope she gets whatever mental help she needs. Do you think LeAnn is about to reach her breaking point over the Brandi drama?